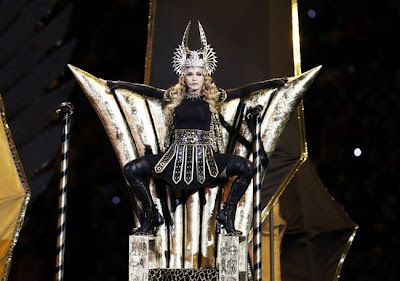 Madonna literally dazzled the audience with her brilliant show and the role of Cleopatra in the bowl Lucas Oil Stadium in Indianapolis. 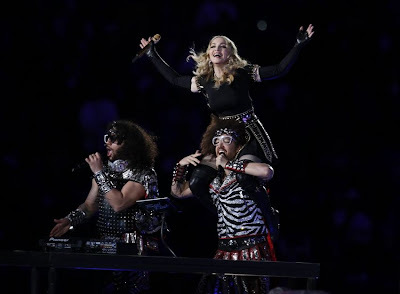 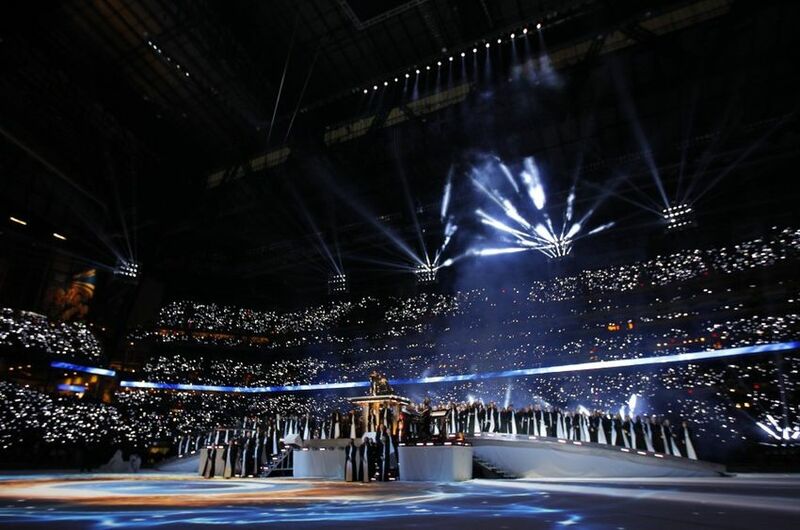 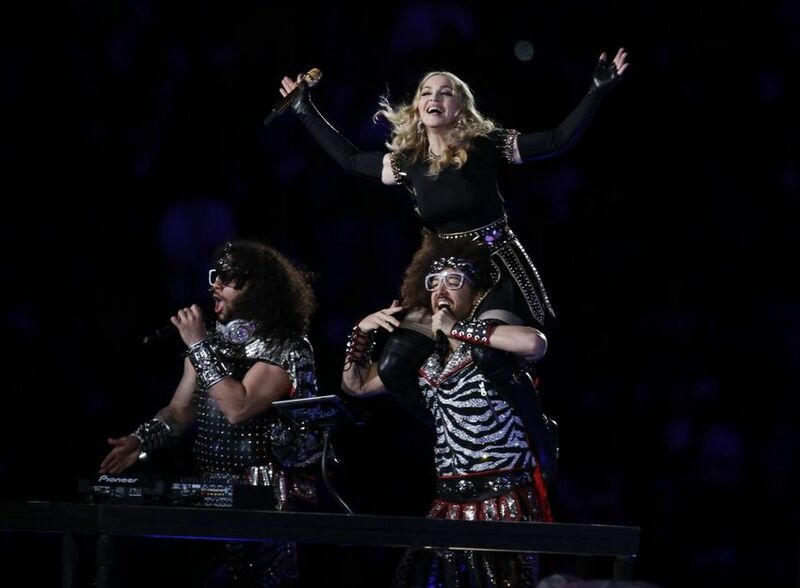 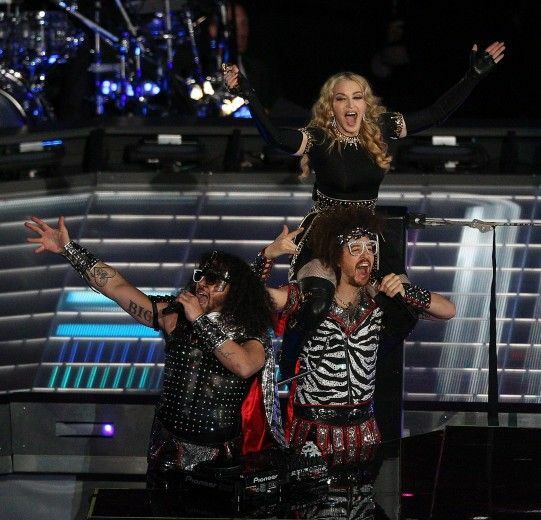 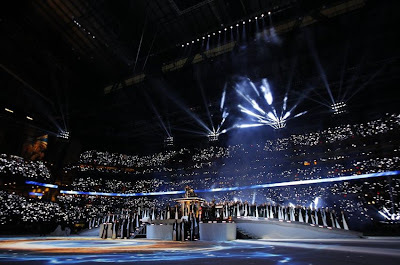 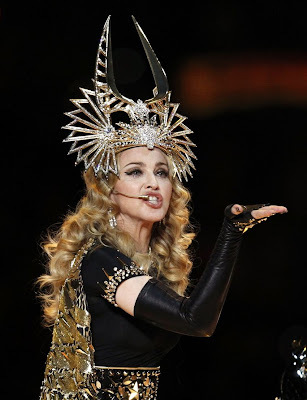 Super Bowl - a big event, but Madonna has once again proven that it is itself a phenomenon no less masshtaba.12-minute speech, in the words of Madonna, seriously and meticulously prepared. 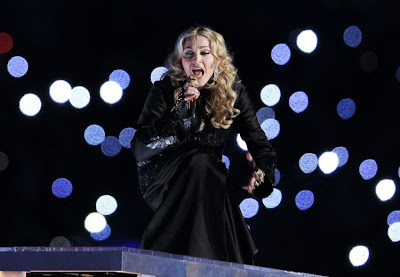 "Within 25 years of performances I've never worked so hard and never had it so not to worry," she added.